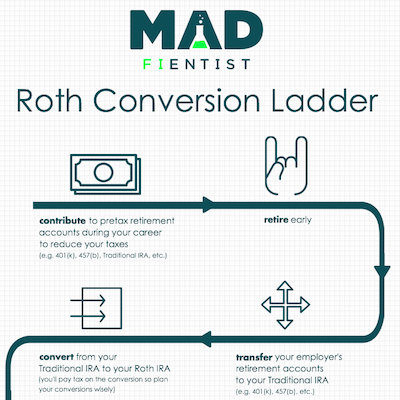 Early retirees can potentially enjoy completely tax-free retirement savings by getting the benefits of both Traditional IRAs and Roth IRAs with the Roth Conversion Ladder strategy! 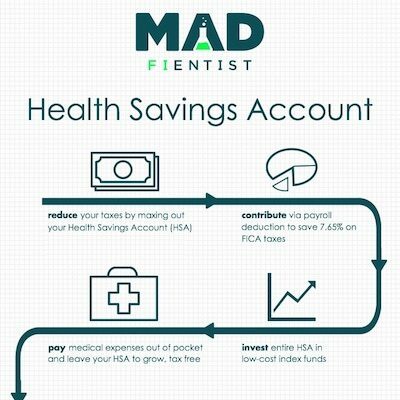 A Health Savings Account (HSA) is the ultimate retirement account because it provides the best benefits of a Traditional IRA and a Roth IRA in one account! 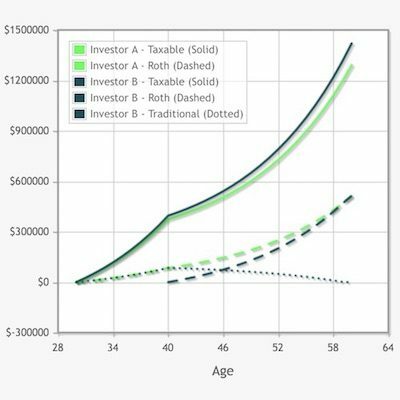 Find out how you can access retirement funds early (without paying any penalties) and learn the best withdrawal strategy for early retirees!